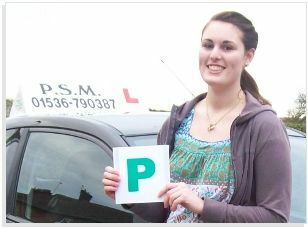 On the offical government web site, Directgov, the results of a recent study showed that nine in ten learners who passed both theory and practical tests first time were taught by an instructor. But while only a driving instuctor who is approved and registered with the Driving Standards Agency can charge money for teaching you to drive, not all instructors are alike in terms of personality, patience or teaching style. It pays to find an instructor with the personality and patience to take you from where you are now to a confident pass. So before you choose a driving school, ask for recommendations from people whose judgement you trust and whose personality is similar to yours. Be wary of cheap deals - any savings can quickly be offset by the extra lessons you need if you start to struggle. But we recommend that you do ask any driving school for a free initial lesson, so you can see for yourself, risk-free, what an instructor is like. For extensive advice and resources for new and learner drivers take a look at the Directgov site, or to explore what you are looking for in a driving instructor and find out whether PSM could offer just what you are looking for, please contact us.